Argues that applied bioethics should embrace utilitarian decision analysis, thus avoiding recommendations expected to do more harm than good. Governments, health professionals, patients, research institutions, and research subjects look to bioethicists for guidance in making important decisions about medical treatment and research. And yet, argues Jonathan Baron in Against Bioethics, applied bioethics lacks the authority of a coherent guiding theory and is based largely on intuitive judgments. Baron proposes an alternative, arguing that bioethics could have a coherent theory based on utilitarianism and decision analysis. Utilitarianism holds that the best option is the one that does the most expected good. Decision analysis provides a way of thinking about the risks and trade-offs of specific options. Like economics, utilitarian decision analysis makes predictions of expected good in complex situations, using data when possible, and focusing human judgment on the issues relevant to consequences. With such a guiding theory, bioethics would never yield decisions that clearly go against the expected good of those involved, as some do now. Baron discusses issues in bioethics that can be illuminated by such analysis, including "enhancements" to nature in the form of genetics, drugs, and mind control; reproduction; death and end-of-life issues, including advance directives, euthanasia, and organ donation; coercion and consent; conflict of interest and the reform of internal review boards; and drug research. 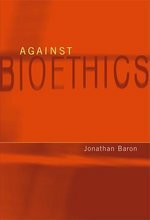 Although Baron opposes current practice in bioethics, he argues that by combining utilitarianism and decision analysis, bioethics can achieve its aims of providing authoritative guidance in resolving thorny medical and ethical issues. For at least a generation, the debate over the morality of euthanasia and assisted suicide and their legalization has been going strong. We are all well aware of the main arguments for and against them, and their general profiles are widely known. In fact, in some instances there appear to be signs of weariness along the battle lines, with little hope of any decisive advance by either side... i.e., a stalemate. In Aiming to Kill, Biggar attempts to review as judiciously as possible the main lines of argument for and against the moral and legal permissibility of euthanasia and assisted suicide. He aspires to negotiate a way through to a mature judgment by taking account of the three basic elements of the controversy--the value of human life, the morality of acts of killing, and the fear of slippery slopes--and running a coherent argument through all of them. Biggar does not pretend to be neutral in the discussion, but rather is open to both sides of the argument and presents them in this manner. Synopsis: James Atwood contends that the thirty thousand gun deaths America suffers every year cannot be understood apart from our national myth that God has appointed America as "the trustee of the civilization of the world" and even "Christ's light to the nations." Because these purposes are noble, and we are supposedly a good and trustworthy people, violence is sometimes "required" and gives license to individuals to carry open or concealed weapons, which "save lives" and can even be "redemptive." Atwood, an avid hunter, cautions that an absolute trust in guns and violence morphs easily into idolatry. Having spent thirty-six years as a Presbyterian pastor fighting against the easy access to firearms, one of which took the life of a friend, he uses his unique experience and his biblical and theological understanding to graphically portray the impact guns have on our society. He documents how Americans have been deceived into believing that the tools of violence, whether they take the form of advanced military technology or a handgun in the bedside stand, will provide security. He closes with a wake-up call to the faith community, which he says is America's best hope to unmask the extremism of the Gun Empire. Endorsement: "Atwood knows that guns are not just weapons, but symbols, and not only symbols, but idols that demand enormous sacrifice in American lives. This book gets at both the depth and meaning of this on-going tragedy. As a gifted organizer and thinker, Atwood then unveils the inspiring theological bases of an awakening to gun violence [prevention] that has already begun in some cities and congregations." --Christian Iosso, Coordinator of Advisory Committee on Social Witness Policy "When it comes to tackling the plague of gun violence in the U.S., no one 'walks the walk' with more integrity than Atwood. He has devoted his life to saving lives from gun violence by increasing awareness and challenging popular myths about guns. He now gives us a much needed theological undergirding for our work to end the violence." --John W. Wimberly Jr., Pastor of Western Presbyterian Church "Gun violence destroys families everyday in America. Atwood presciently shows how our weak gun laws result from treating guns as if they were religious idols. By unpacking the theological significance of policies that allow for unfettered access to firearms, he makes a compelling argument that people of faith have a religious and moral duty to fight for stronger gun laws." --Joshua Horwitz, Executive Director of the Coalition to Stop Gun Violence "Atwood's fervent account of the multiple costs of gun violence and the need to restrain it is of urgent and timely importance. 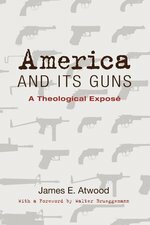 This book is a challenge to Christians to lead the way in unmasking the peculiar American obsession with guns. It illuminates the origins of that obsession and recounts a distressing record of statistics and broken laws, all in a compelling theological framework." --David Little, Harvard Divinity School "This is the book I've been waiting for. Atwood's analysis is deeply theological, and I hope it will bring conversations in our churches about idolatry, faithfulness, and the violence that has become so interwoven into our culture. Read this book for an exploration of your own acquiescence to the gun culture, and then study it with your book club or church group to begin planning the revolution that will stand up to the gun industry." --Rick Ufford-Chase, Executive Director of Presbyterian Peace Fellowship Author Biography: James E. Atwood is Pastor Emeritus of the Trinity Presbyterian Church of Arlington, Virginia, from which he retired in 1999. He lives in Springfield, Virginia. He is presently the Chairperson of Heeding God's Call of Greater Washington, a faith-based ecumenical movement that encourages gun shops to adopt a code of conduct that deters illegal purchasing and the trafficking of handguns. Michael Walzer is one of the world's most eminent philosophers on the subject of war and ethics. Now, for the first time since his classic Just and Unjust Wars was published almost three decades ago, this volume brings together his most provocative arguments about contemporary military conflicts and the ethical issues they raise. The essays in the book are divided into three sections. The first deals with issues such as humanitarian intervention, emergency ethics, and terrorism. The second consists of Walzer's responses to particular wars, including the first Gulf War, Kosovo, Afghanistan, and Iraq. And the third presents an essay in which Walzer imagines a future in which war might play a less significant part in our lives. In his introduction, Walzer reveals how his thinking has changed over time. Written during a period of intense debate over the proper use of armed force, this book gets to the heart of difficult problems and argues persuasively for a moral perspective on war. In this provocative book Scott Gustafson argues that economics functions in our current global culture as religions have functioned in other cultures. He describes and analyzes the rituals, pilgrimage sites, myths, prophets, sacraments, and mission of Economics to show how the Economy is our de facto God. 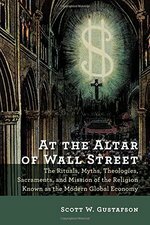 Discussing such topics as debt, economic terrorism, globalization, and money as the Economy's sacrament, Gustafson's At the Altar of Wall Street encompasses a broad sweep of history, philosophy, culture studies, economic ideas, and religion in its trenchant analysis. 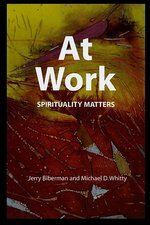 Making spirituality an integral part of the hectic workday is a key concern for the authors of "At Work." They offer a number of solutions meant to help integrate these two worlds, all with a common theme the positive renewal and transformation of both worker and workplace. Carefully avoiding the pat answers of pop psychology, "At Work" is instead an in-depth read for teachers, consultants, and people interested in making their work environment a more healthful and compassionate one." Mohrmann spent 30 years as a pediatrician treating sick and dying children, and this collection of stories about her most memorable cases is yet another important contribution to the narrative bioethics genre. These are stories that are both painful and hopeful, tragic and funny, full of remarkable characters and sometimes bizarre families. In some ways the book closely resembles Zaner's Conversations on the Edge, in that it allows the reader to peek behind the hospital room curtain to see how patients and their families deal with agonizing choices about life and death. And in both books the reader can see the author evolve and grow over the course of a career. But in the case of Mohrmann's work the author is not simply listening to and advising patients and loved ones, but actually treating them--and, in some cases, making the hard call to recognize the end and withdraw life support Further, Mohrmann's ultimate intention is to tell, through these cases, how doctors learn to be doctors--that is, how physicians learn to attend to patients. Listening, accompanying, and waiting--these are the primary learnings in the education of a doctor. So while this is a book in bioethics, and Mohrmann is an established figure in the SCE crowd, it will also appeal to physicians and other health care workers. Hardback edition reviewed positively in New England Journal of Medicine, JAMA, elsewhere. Smart, funny, and fresh, The Barbaric Heart argues that the present environmental crisis will not be resolved by the same forms of crony capitalism and managerial technocracy that created the crisis in the first place. With his trademark wit, White argues that the solution might very well come from an unexpected quarter: the arts, religion, and the realm of the moral imagination. 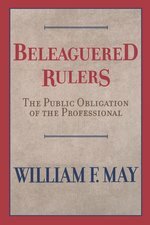 Professionals today wield an enormous public power. Collectively, their decisions affect the patient's plight, the client's fate, the student's future, the city's scape, the Earth's sustainability, the worker's fair treatment, and the durability of institution's great and small. Yet professionals do not perceive themselves as power wielders. They feel beleaguered, marginal, insufficiently appreciated, often under siege. Thus they tend to obscure for themselves their obligation to the common good. This book explores eight professions as they struggle with their double identity--as a means to livelihood and as a "common calling in the spirit of public service." An interpretation of American culture emerges from its pages, as social critic William May opens up the ways in which each profession answers to something deep in the American spirit. As our lives become complex with the demands of our affluent and accelerating society, do we hear the gospel's timeless and insistent call to live the obedience of faith? 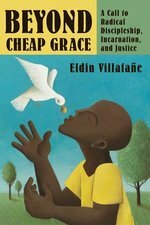 In these three sermonic essays Eldin Villafane takes on the task of awakening true obedience of faith through the themes of discipleship, incarnation, and justice. Beginning with discipleship, Villafane draws on the Christ hymn of Philippians 2 to challenge Christians to choose the costly Christ-life. He then offers six contrarian perspectives on the incarnation from the early church as correctives to our current, culturally conditioned theological emphases. Finally, taking the book of Amos as a touchstone, Villafane issues a call for just leadership among the nations." Has the ecumenical movement lost its way? Does the prophetic voice of the churches gathered together still influence our societies? This text answers these questions and others, pointing to a new orientation in the field of ecumenical social thought at a time of crisis in the ecumenical movement. While the Christian church has experienced extraordinary growth over the last century, Western culture has continued its seemingly inexorable drift into post-Christian forms. The contrast between our burgeoning churches and the scant impact that Christians have on public policy, the university, or the professions is distressing. 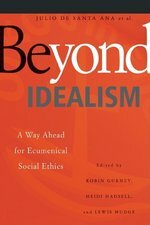 And nowhere is this development more evident-and more consequential-than in the field of bioethics, where the dignity of human beings is constantly open to redefinition, and where much of our inheritance is coming under withering fire from those whose values are radically distinct from the Judeo-Christian tradition. This new volume takes seriously the Christian mandate to engage modern culture, giving specific attention to the urgent need for moral leadership as we encounter the difficult challenges posed by biotechnology. 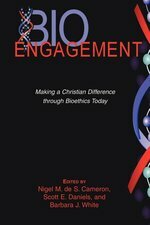 These insightful chapters by twenty leading activists, academics, and professionals discuss the contributions that a Christian perspective can and should make to the biomedical debate in today's most important forums-public policy and law, education, media, health care, and the church itself. Basterra examines human behavior in two specific areas; life sciences and healthcare. The perspective is specific: what are the moral values and principles behind or affected by that human behavior? His work is thoroughly researched and clearly presented. In recent years, bioethicists have worked on government commissions, on ethics committees in hospitals and nursing homes, and as bedside consultants. Because ethical knowledge is based on experience within the field rather than on universal theoretical propositions, it is open to criticism for its lack of theoretical foundation. Once in the clinic, however, ethicists noted the extent to which medical practice itself combined the certitudes of science with craft forms of knowledge. In an effort to forge a middle path between pure science and applied medical and ethical knowledge, bioethicists turned to the work of classical philosophy, especially the theme of a practical wisdom that entails a variable knowledge of particulars. In this book contemporary bioethicists and scholars of ancient philosophy explore the import of classical ethics on such pressing bioethical concerns as managed care, euthanasia, suicide, and abortion. 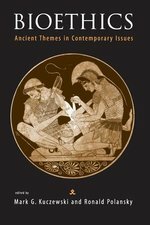 Although the contributors write within the limits of their own disciplines, through cross references and counterarguments they engage in fruitful dialogue. 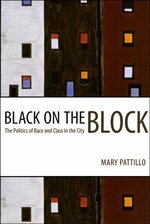 In Black on the Block, Mary Pattillo--a Newsweek Woman of the 21st Century--uses the historic rise, alarming fall, and equally dramatic renewal of Chicago's North Kenwood-Oakland neighborhood to explore the politics of race and class in contemporary urban America. An active pastor, husband, father, and triathlete, Bob Molsberry was nearly killed in 1997 in a hit and run accident on a rural highway. After a long period of recovery and rehabilitation, he is a paraplegic who has remained active in family, ministry, and athletics. The book reflects on his experience of disability not as a medical condition in search of a cure, nor as a tragedy to be pitied, but as a cross-cultural adventure similar to learning to live in a foreign country. Molsberry also offers biblical and theological reflection that confronts the Bible's perspectives on disability that it is a matter of heroic suffering or miraculous cure, and often interpreted as a consequence of sin. 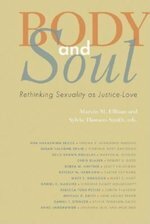 Ellison and Thorson-Smith have co-edited a collection of essays in collaboration with two dozen prominent theologians, which plays of the controversial 1991 Presbyterian study they co-authored entitled "Keeping Body and Soul Together: Sexuality, Spiritually and Social Justice." The first personal documentary about AIDS to be published, "Borrowed Time" remains as vividly detailed as the best novel and as lucidly observed as the fiercest journalism. 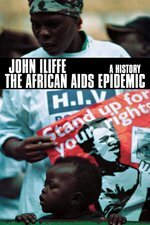 It is a cry from the heart against AIDS as it was in the early stages of the plague and against the intolerance that surrounded it. In equal parts, it is a supremely moving love story and a chronicle of the deep commitment and devotion that Paul Monette felt for Roger Horwitz from the night of their first meeting in Boston in the mid-1970s to Roger's diagnosis a decade later and through the last two years of his life, when fighting the disease together became a full-time occupation. This is not a book about death but a book about living while dying and the full range of emotions provoked by that transition -- sorrow, fear, anger, among them. It is a document essential to the history of the gay community; vital for anyone reading about AIDS; and one of the most powerful demonstrations of love and partnership to be found in print. 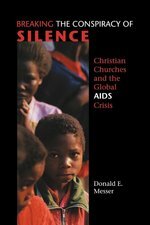 Christian Churches and the Global AIDS Crisis More than twenty years into the global AIDS pandemic, the efforts of Christian congregations and denominations have been less than minimal. This book is aimed to awaken Christian compassion in the coming years to this fathomless tragedy. The worst health crisis in the world in 700 years, global HIV/AIDS epidemic is overwhelming in scale: 40 million people are infected worldwide (75% of them in Africa); 7000 people die daily; each day 1600 persons are infected. Some 26 million people have already died. ''At this unprecedented kairos moment in human history, '' says Messer, ''God is calling the church to a new mission and ministry.'' Drawing on his own involvement in global AIDS education in Asia, Latin America, and Africa, Messer uses stories, basic factual information, and theological insights to motivate lay and clerical Christians to assume leadership and form partnerships with Christians around the world in this struggle. Just as individuals must change their behavior to prevent and eliminate AIDS, so must congregations and church leaders. Compassion, not condemnation, is desperately needed, says Messer. But financial resources for education and prevention programs are also urgently required from churches. Messer shows how churches can partner with ecumenical organizations, relief agencies, volunteer mission programs, healthcare programs, and other agencies to engage global AIDS directly and effectively. Since the late 1960s, American culture has been involved in a struggle to articulate an effective business ethics. The scandals of Enron and WorldCom constitute egregious examples of the absence or deficiency of ethical decision-making in matters of commerce. The purpose of this volume is to inaugurate a dialogue on the common elements of all three Abrahamic traditions - Christianity, Islam, and Judaism - that touch on ethical issues in business. With more than 40 scholars, religious and business leaders joining the debate, this anthology is the beginning of a reconstruction of the understanding of the relationship between religion and commerce. Spirituality seems to be a basic human good essential for human flourishing. This work raises questions about spirituality in the workplace. What are the moral questions that should guide leaders? 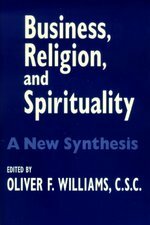 Is spirituality being treated as simply an instrumental good, valued for its usefulness in enhancing productivity and well-being? What are the responsibilities of business leaders? Of business schools and their faculty? This work reflects on these and other pertinent questions. Can it ever be acceptable for a humane society to put a human being to death? 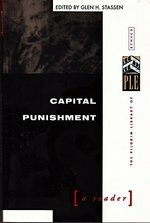 In this new volume in The Pilgrim Library of Ethics, a wide range of contributors, including recognized theologians, ethicists, and writers, explore all angles of the wrenching subject of capital punishment.Arguments often turn on how this form of justice functions within the larger social order. Retributionists argue that this extreme penalty is needed to restore social order. Advocates of the common good counter that capital punishment's biases against the poor, members of minorities, and those with little education spread social cynicism and disrespect for the law.Scapegoat theorists contend that execution is a form of ritual sacrifice intended to redeem the body politic. In contrast, proponents of society's need to decrease the number of murders posit that capital punishment diverts passion away from effective measures that could reduce the rate of homicides.For those who want a single-volume source of balanced, accessible information and who seek to formulate their own informed opinion, Capital Punishment: A Reader is an essential resource.Books in The Pilgrim Library of Ethics address the most significant moral issues of our time. Each volume is designed for both classroom and general use, and features about thirty outstanding articles, essays, and official statements by foremost thinkers and institutions.